Charlottenborg brings you some of the finest musical moments in the capital Copenhagen this spring. A line-up of both innovation, variation and energy. 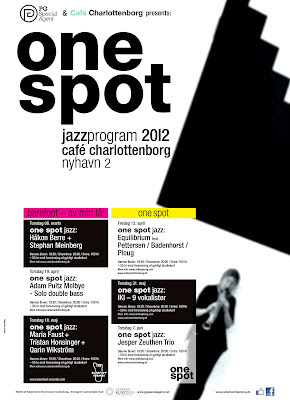 This with both instrumental and vocal concerts with an international line-up of jazz artists from Denmark, Norway, Holland, Iceland, Finland, Norway and Sweden.